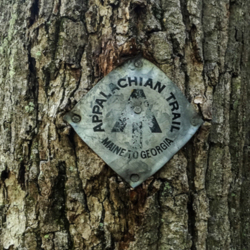 When preparing to thru-hike the Appalachian Trail, start and finish it in one go, there can be a lot of things to think about: what pack will you use, what kind of food will you eat, what shoes will you wear, who will you go with, etc. But, when thinking about all the different details of a complete of the Appalachian Trail, there's one other detail that actually causes some contraversy on the trail: in which direction are you walking? If a hiker chooses to be a North Bound hiker (NoBo), they will start at the Georgia end of the trail and walk towards Maine. But, if you choose to be a South Bound Hiker (SoBo), then you will start at Mount Katahdin in Maine, and walk south towards Georgia. Is there a right or a wrong way to walk? Not necessarily, but other thru hikers will tell you there certainly tell you there is a right and a wrong direction to walk, depending on whether you talk to a NoBo or SoBo. This argument between hikers from different directions comes from the different stereotypes and ideas about each group, and has actually caused a rivalry between each group. So, if you had to choose, which side would you be on? SoBo or NoBo?